Small debts, where the company sponsoring the pension scheme can easily afford to service the debt and is relatively large financially compared to the debt. Think Norway, with their massive sovereign fund, or South Korea on the graph above. There are a wide range of ways of dealing with a debt like this: if the funding target was not to buy out the benefits with an insurance company at this point, I would generally try and encourage the trustees and sponsor in that direction because of point 3. However there are many other completely reasonable approaches here and the point is that, whichever is chosen, it is unlikely to seriously affect the ability of the company to implement its business plans. Large but manageable debts. The company does need to put in place a proper funding plan here. How quickly it would be asked to pay off the debt would depend on what is called the employer covenant, which is the willingness and ability of the company (or sometimes group of connected companies, which is where the willingness comes in) to pay. Strong companies are allowed more options and longer repayment periods if they want them, although in some cases they may just want to fully fund and remove the ongoing costs of meeting the regulatory and administrative requirements of running a DB pension scheme. Think of the UK in this category. The paper from which the graph above is taken is concerned with the green zone cases like the UK, for which it concludes that reducing debt in the current circumstances of very low real interest rates (the same problem making pension debts so large) and demand shortfalls in the economies in question (the rather more important debt) is likely to be undesirable as the costs will outweigh the benefits. Large and unmanageable debts. The company cannot afford a funding plan. In most cases the scheme does not have access to sufficient assets to buy policies to pay full pensions to its members with an insurer. An organisation called the Pension Protection Fund (PPF) then gets involved, which guarantees to pay full pensions to pensioners and 90% to non-pensioners, in exchange for all the assets it can get from the defaulting scheme and its sponsor. The sponsor usually needs to be insolvent for its scheme to enter the PPF, although sometimes it is allowed to return phoenix-like without the pension scheme but with the PPF as a stakeholder receiving a share of company profits over an agreed period. I saw my role as to help trustees negotiate hard for a funding settlement with the sponsor, on the understanding that the sponsor would also negotiate hard. It was always clear to me that the sponsor’s responsibility was to grow its business and it would look to direct most of its profits to that end. The trustees were there to ensure that the (in the main) employees of the past who had been made a pension promise were not forgotten by the employees of the present and future and their employer when resources were being directed. Imagine what the trustees’ role might be if this whole basis of funding was turned on its head: companies directing ever more of their profits into debt repayment at the expense of any sort of investment in the future of their businesses. To the extent that this threatened the future income stream to the scheme as the business fell apart, trustees and their actuaries might find themselves making very different arguments (perhaps along the lines of the flexibility the regulator promotes and the importance it stresses of trustees having a good understanding of the employer’s position and plans, including how any plans for sustainable growth enhance the employer covenant). But we would then be in a situation where what the company was expert in, ie running its business, had been subordinated to funding a pension scheme, while what the trustees and their advisers were expert in, ie funding the pension scheme, had become less important than protecting the long term health of the company. This would appear to be sub-optimal. But it is not that different from having a government that makes its highest priority to reduce a debt which it does not fully understand and certainly cannot fully control, while cutting back on all the things that governments do which support the economic health of a country, from investing in infrastructure and housing to promoting real social security for the economic units, ie us, within it. 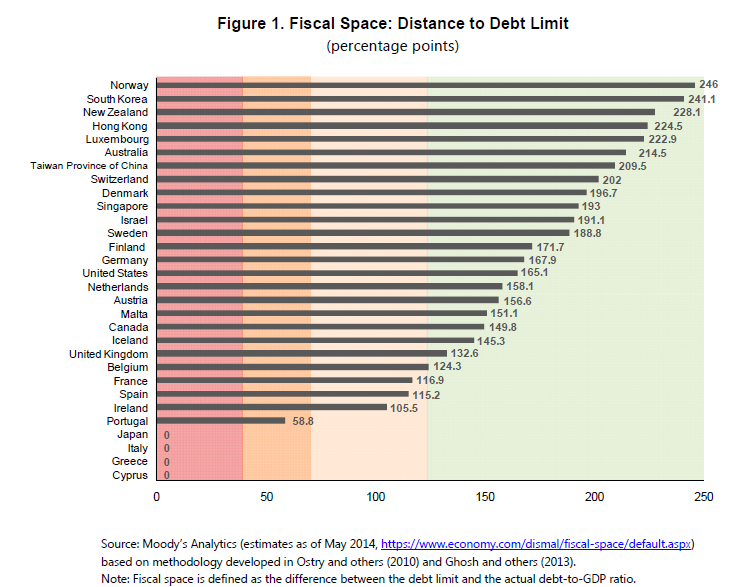 And imagine what would happen if we treated schemes with large unmanageable debts like Greece. The current deal which looks like it might be agreed tomorrow involves asset sales, spending cuts, tax increases and reform of both its tax and pensions system in return for three year loans and debt restructuring and reprofiling. This would be the equivalent of not only putting the sponsor into administration and selling off all its assets but also immediately demanding pension contributions from the workers who had been kept on into a scheme which would never give them any benefits just before firing them with no pensions (pensioners left without pensions was a scenario which occasionally happened in the UK before the PPF and sometimes led to naked pensioners demonstrating on the beach). The sell off would, as it always does (and certainly has in the case of Greece) pay off the banks first before moving on to the unsecured creditors. Insolvency practitioners know that they can get more for a company by selling it as a going concern rather than as just a bunch of assets. The PPF similarly understand that a proportion of future profits can be in their best long term interests as a creditor rather than dancing around the flames of a fire sale. The Troika, the IMF and their enforcer, the ECB, appear to have lost sight of this. The current austerity fixation is not bringing good private sector practice into the public sector. On the contrary it is removing the public sector foundation required for the private sector to flourish. And that is just bad business.